Every five years in Kassel, Germany, documenta is a contemporary art exhibition lasting 100 days. Each edition presents hundreds of works in and around the city, typically conceptual and frequently site-specific. Of the thousands of works shown since the first documenta in 1955, sixteen have become permanent installations in Kassel. 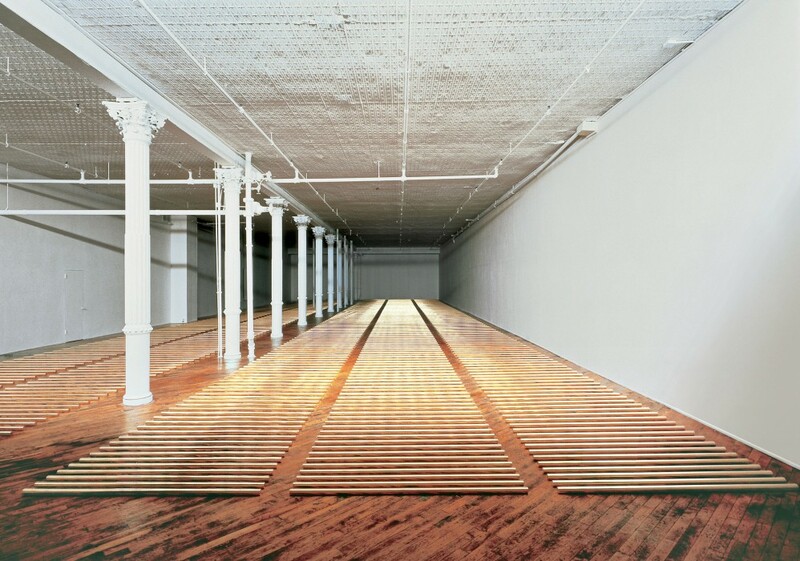 From documenta 6 in 1977, four works were acquired, including Walter De Maria’s The Vertical Earth Kilometer. 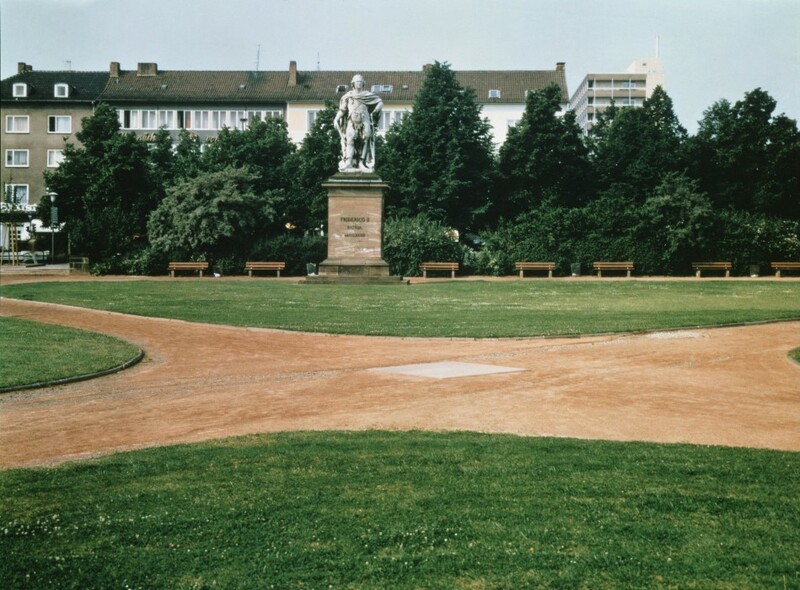 In the Friedrichsplatz, Kassel’s largest square and the center of activities for each documenta, the work is quite literally underground notwithstanding its prominent site. The Vertical Earth Kilometer is a solid brass rod, one kilometer long and five centimeters in diameter, with its full length inserted into the earth. 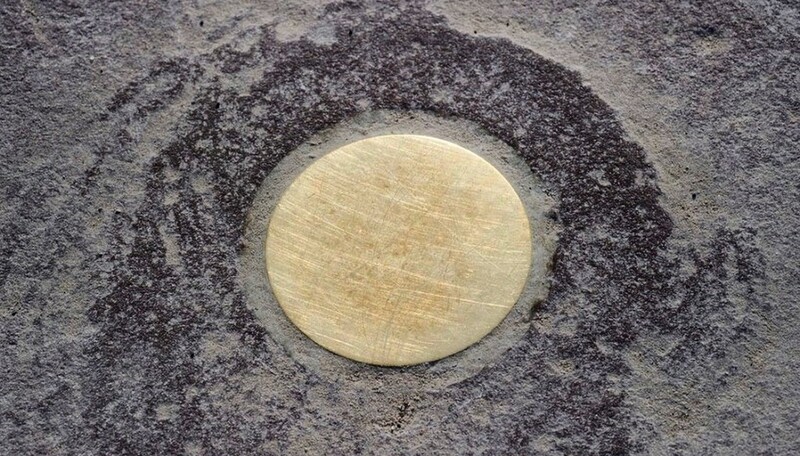 Its flat, circular top is flush to the ground, embedded within a sandstone paver. The rod is composed of six 167-meter segments connected to form the entire length of a kilometer. It took 79 days to bore the shaft, which passes through six distinct geological layers of the earth. The sculpture is almost entirely unseen, leaving its existence up to the trust of the viewer. For documenta, which aims to develop its thematic program on the direction of global contemporary art movements, the installation combined minimalism, conceptualism, and land art. 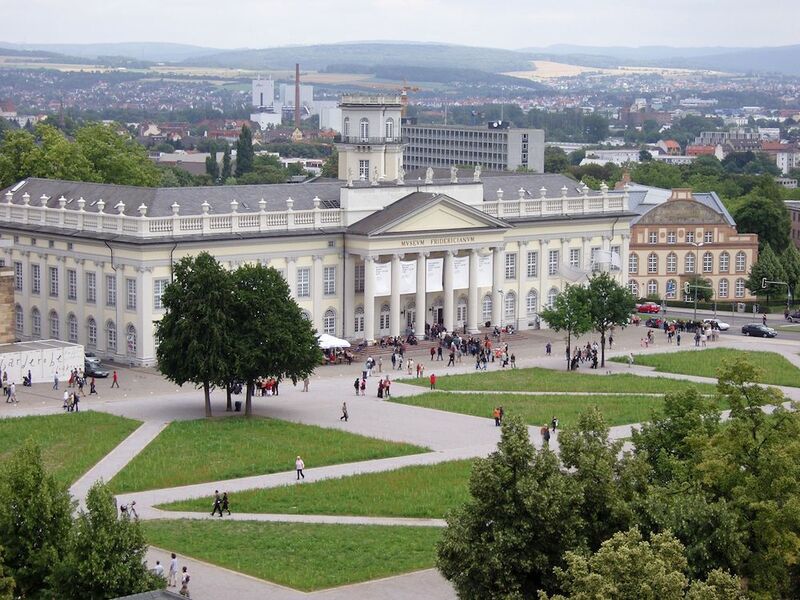 Its location in front of the Fridericianum, one of the oldest museums in Europe and the hub of documenta, imbues meaning even if there is little to see. In 1979, two years after documenta 6, De Maria created a companion to the work in Kassel. The Broken Kilometer is comprised of 500 brass rods, each two meters long and five centimeters in diameter, placed in five parallel rows with increasing space between each row. If the pieces were laid end-to-end, they would form a kilometer in length. The Vertical Earth Kilometer was funded by the Dia Art Foundation and is owned by the city of Kassel. The Broken Kilometer was commissioned and is maintained by the Dia Art Foundation. Both works are on long-term view to the public.